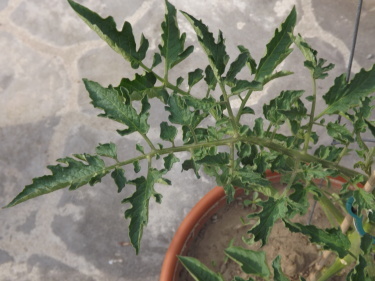 Research has told me that this is tomato leaf curl. Of the three culprits (disease, herbicides, or environmental) the only one that fit my location and situation is environmental. Of course, this particular diagnosis doesn’t really help because the leaves are curling either because they are getting too much water or too little. This might sound easy enough to determine which one it is, but not really. 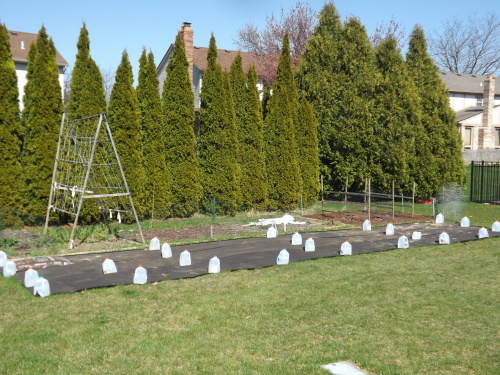 The weather here in Michigan has been utterly terrible for a would-be hands-off gardener. Although we have had tons of sun and warmth, there has been little to no rain for over a month. This means watering is my job. 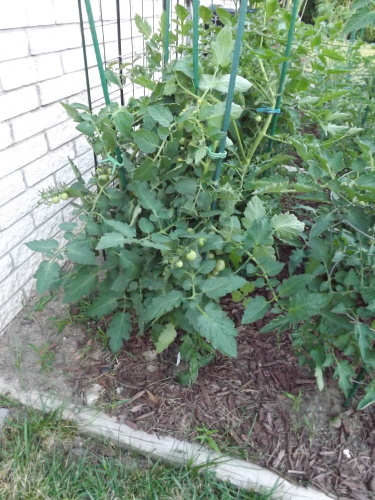 Now I watered my tomato plants last year and didn’t really have any issues. At least once or twice a week it would rain, and I’d just fill in by watering every once in a while. Now all the watering is up to me. What makes this situation even more confusing is that not every plant is affected. 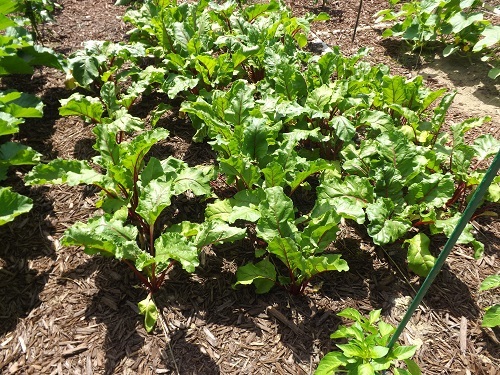 In the main garden one or two plants have just mild curl. On the side of the house there are 8 plants and 3 of them are so curled that it is hard to tell that they are even tomato plants at all. 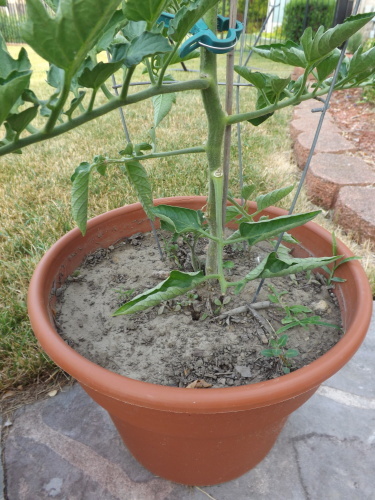 Other plants that are planted in pots are hit or miss. Some of these are curling, some are fine. 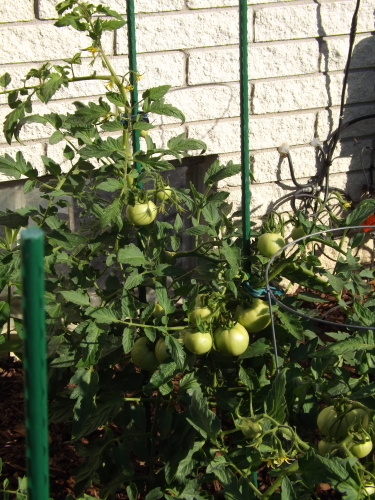 To determine if I was over or under watering I read up on what is the best way to water tomato plants. 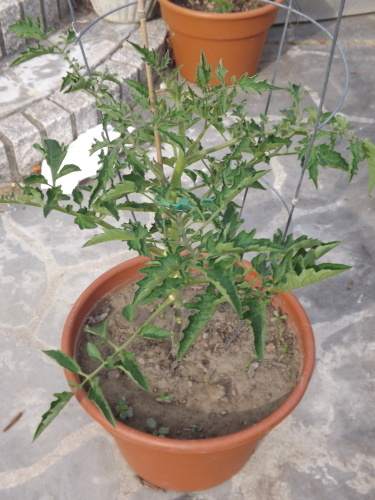 According to my research if tomatoes are in pots, it is best to completely soak the soil. 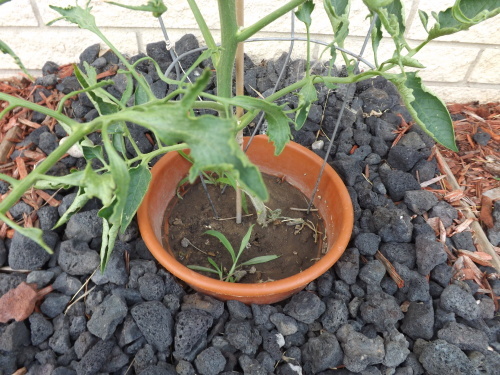 Watering until the water comes out the bottom of the pot and then waiting until the soil is dry about an inch down before watering again is suggested. 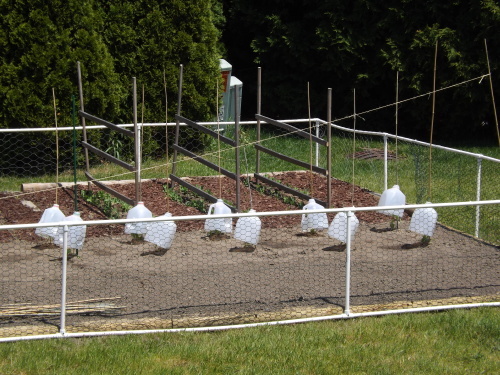 As for ground planted tomatoes, heavy, thorough soaking is best. If moderate or light watering is done daily or every other day, the roots will not grow deeply. 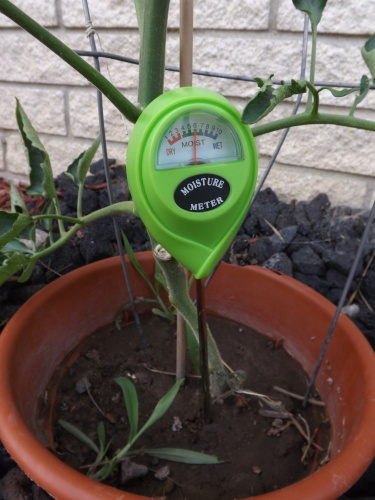 Watering heavy 1 -3 times a week is better than watering light 5 -6 days. So what had I been doing? 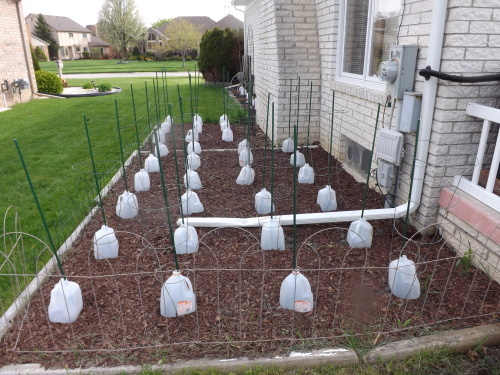 I was watering everything light to moderately about 4 – 6 times a week. 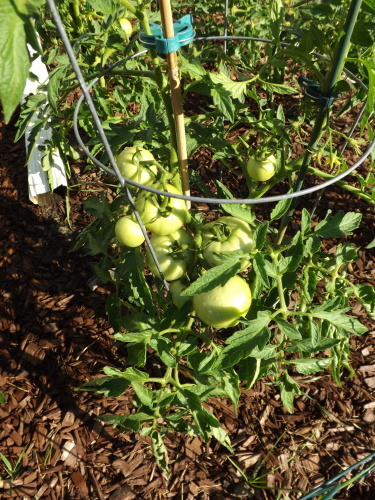 The rest of the plants in the gardens are doing well, just the tomatoes seem to be struggling. 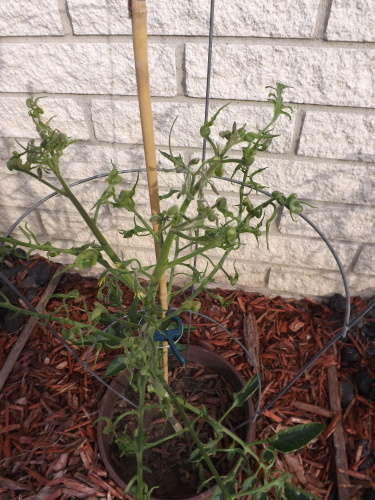 To test the theory that heavy watering would be best I watered the ground tomatoes super heavy three days ago and have left them alone in the 90 degree, sunny weather since. Upon checking them this morning they seem to be doing okay. They aren’t any worse, which to me is success. 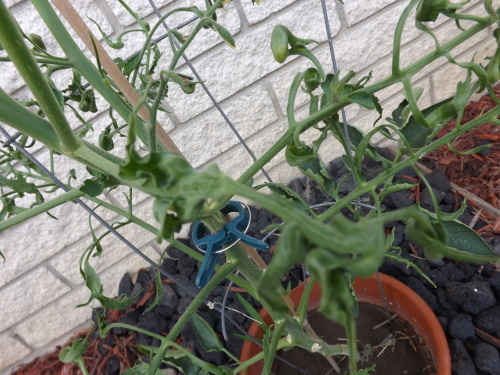 The three plants that were severely affected by the leaf curl seem to be improving just a little, but I’m not sure if it’s just wishful thinking. The potted plants I watered heavily and left them until the pots dried up enough so when I put my finger into the soil an inch down it was no longer wet. They have not gotten worse, but I don’t see much improvement either. 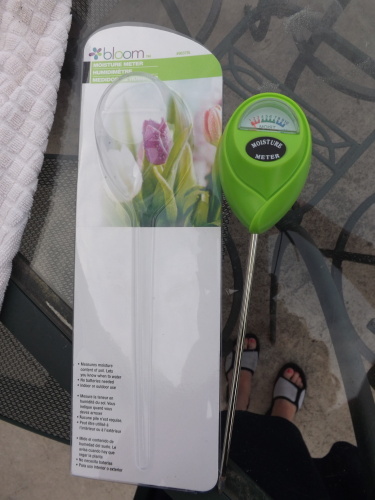 So will my plants survive? Who really knows. 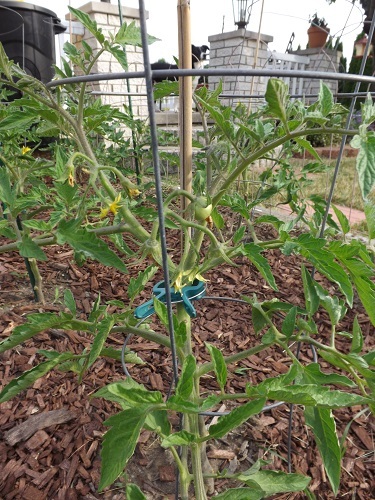 Many of the plants have tiny tomatoes and most of them have flowers (less the three with severe leaf curl that are beyond recognition). Without any help from Mother Nature to feed the garden as only she can I’m struggling. 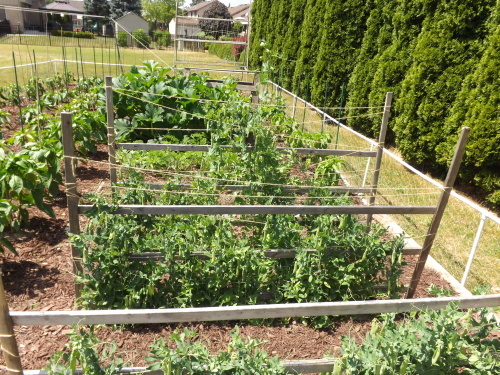 Last year and the three years prior to that I never gave much thought to how I should water the garden. 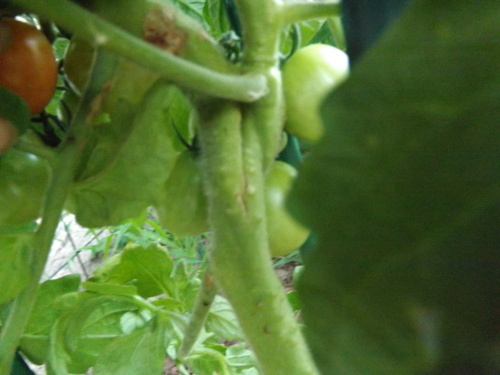 It rained, I watered when it didn’t, and the garden grew. Now, with no rain and all the watering left solely up to an amateur gardener, the garden might just fail miserably. Gardening is not easy, I know that. 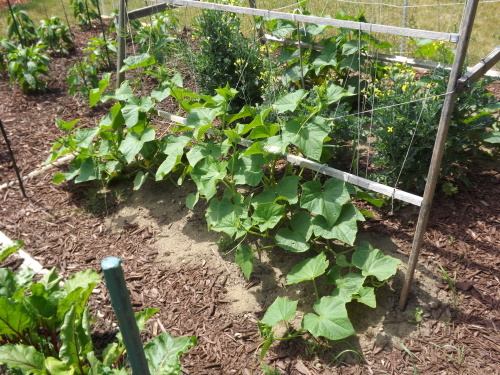 Last year I dealt with slugs, cucumber beetles, Japanese beetles, early blight, and cabbage moths. All of these however were fairly easy fixes. 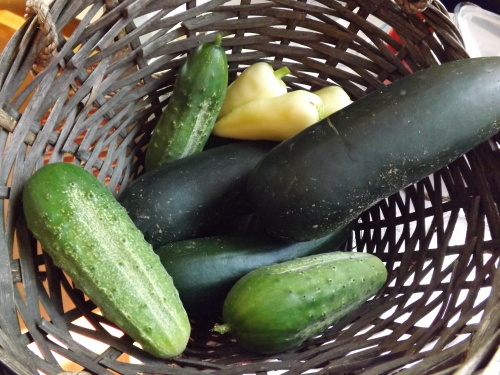 Sure it took time and a little science and/or luck, but the 2015 garden was pretty much a success. I’m going to keep plugging away, watering, not watering, feeding, not feeding, until the last. 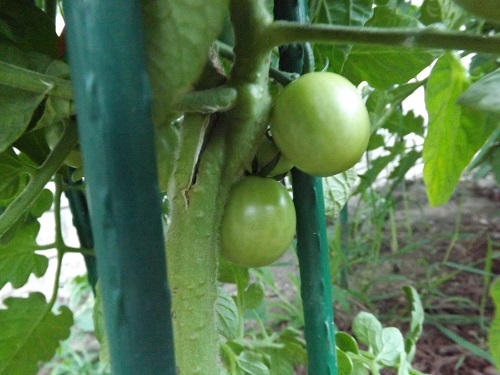 I figure the worst that can happen is the tomato plants don’t survive and I have to get our tomatoes from the local farmers. Worse things have happened, and for this I am — Simply Grateful. 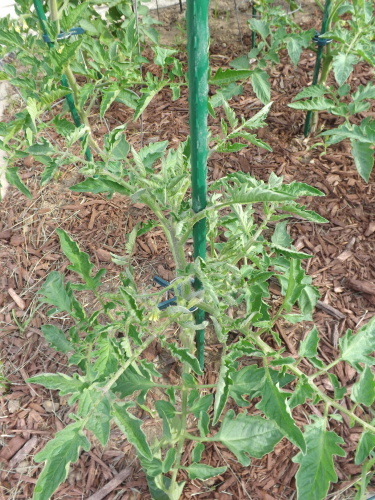 Categories: Disease, Tomatoes | Tags: Gardening, Tomato Diseases, Tomato Leaf Curl, Tomatoes, Watering Tomatoes | Permalink. Consistent! 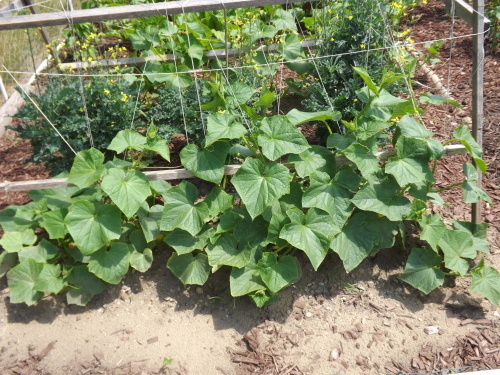 I am nothing if not consistent and when it comes to my gardening this year — well, let’s just say I really need to change things up a bit! 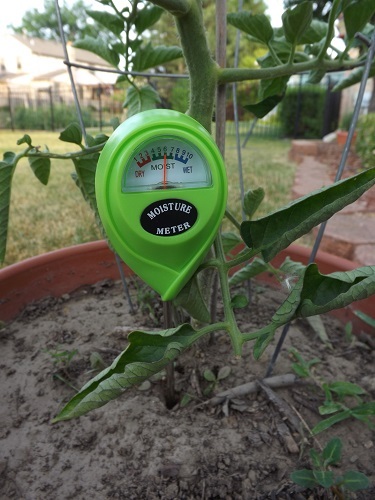 For years I thought I had a black thumb when it came to any type of plants – house, garden, or even artificial. Hubby always joked that I could kill silk flowers, but in all honesty, he wasn’t too far off. 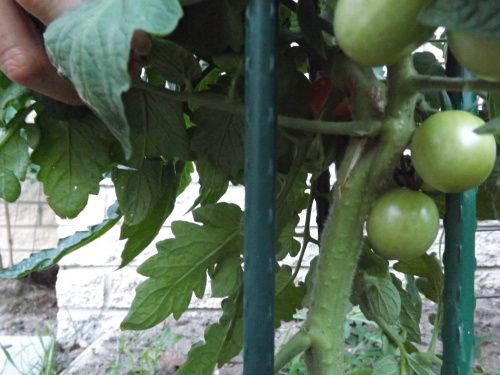 Then a few years ago I made a real effort to grow a few tomato plants and possibly actually have a few for the family to eat. Well, that first year was tough, but by the second year I felt I was getting the hang of it and by the third year — that was last year and boy did the bounty come in. 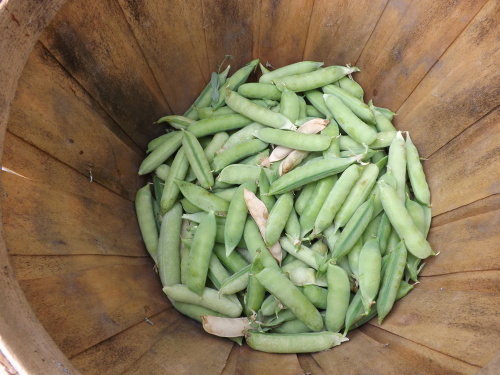 Over 1,000 peppers, 200+ cucumbers, tons of root vegetables, more beans than we could eat, and so many tomatoes that I actually had a few people who were driving who saw my plants weighted down with fruit stop by to ask me how I did it. Boy did this fluff up the old tail. Conceit has got to be one of the seven deadly sins, and if it isn’t, well it ought to be. 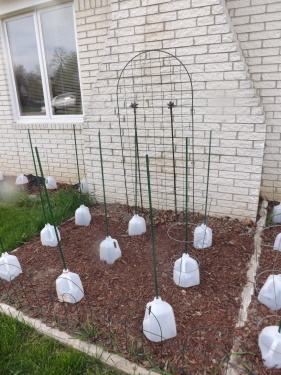 When I set out to start my seedlings this past spring I jumped in without giving it so much as a thought. I figured I’d done it before, so now I must be an expert, right? WRONG! Everything and anything that could go wrong this year, has and it isn’t a matter of the weather not cooperating, my seeds not being fresh, the soil having lack of nutrients — no, it’s just me. I forgot that gardening isn’t easy. 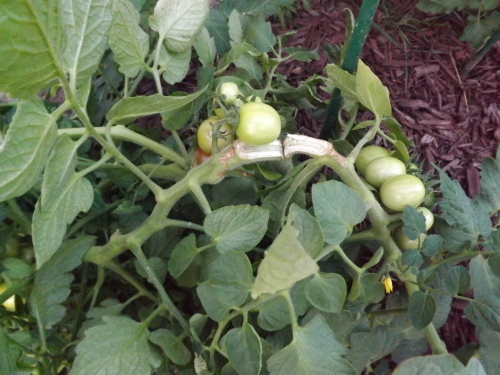 Gardening takes time, patience, attentiveness, and mostly knowledge. If you bounce around haphazardly, thinking you know everything when the truth of the matter is that you know so much about things that just aren’t so, things are going to get screwed up and screwed up fast. This is exactly what has happened this year. I keep rushing around as if my garden has got to be done yesterday and because of this I have rushed my plants to near extinction. 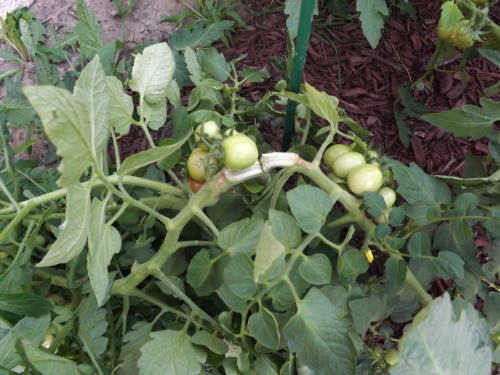 Even after replanting my tomatoes and vowing to slow down and learn from my mistakes, I am still killing them at every turn. 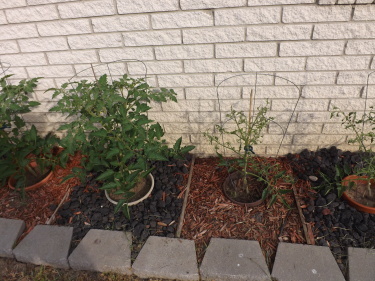 My latest fiasco was planting them outside. 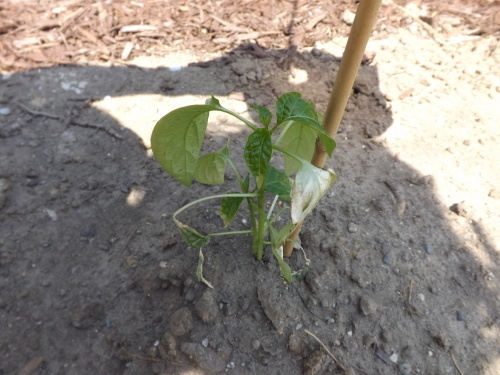 Did you know that you are supposed to “harden” seedlings off that are grown indoors prior to planting them outside? Well, I did, but that certainly didn’t stop me from just grabbing a tray of plants and putting them right in the ground. Can you guess what happened? Right, they began to die. Big surprise! So, I tried to remedy my error and put my wonderful milk cartons to work. 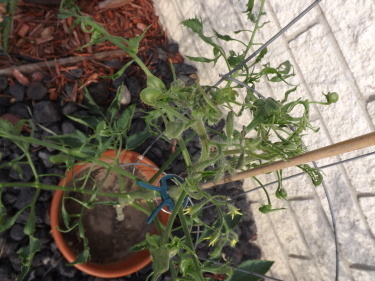 I knew to put them over the plants at night until they got accustomed to the varying temperatures, but forgot that the sun and wind would wreak havoc on them during the day. Guess what that led to? Yep, sun scald and breakage. Things just keep getting better. 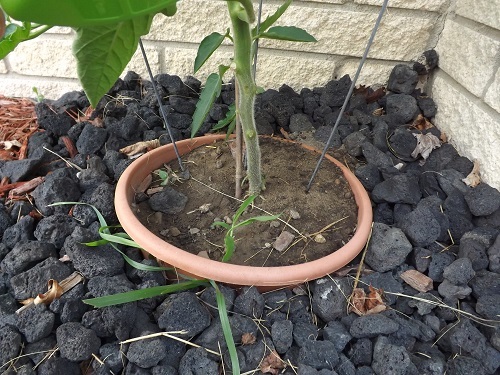 To make matters even worse, I got so excited when the garden expansion was finally done and the soil looked so inviting, that I began planting my pepper plants outside. 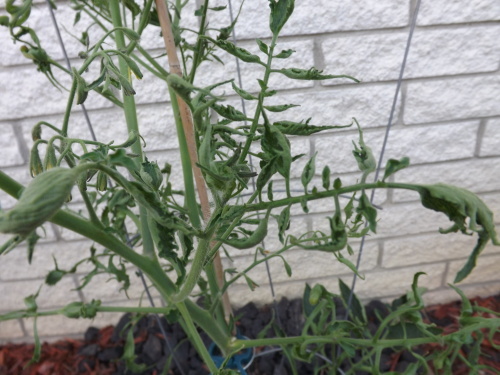 Do you think I hardened them off, learning from my tomato mistake? NO! Why would I do a silly thing like that. Can you guess what happened? Exactly! 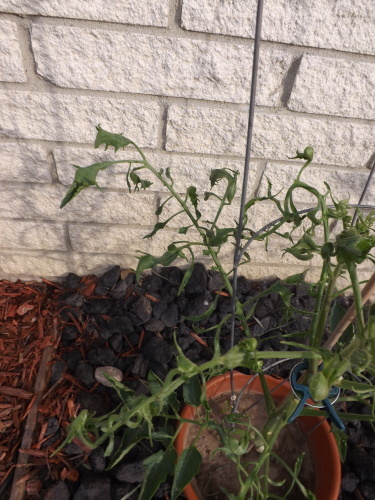 They too got sun scald and wind damage. 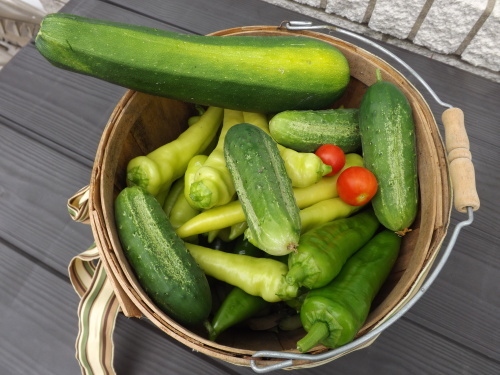 I swear, I am really beginning to think I should just hang up my garden gloves for the year, leave this gardening thing to the professionals and begin planning my trips to the farmer’s markets. At this point I don’t think I even deserve for my plants to live, that would truly teach me a lesson, wouldn’t it? Probably not. This dog is definitely too old to learn new tricks. My problem is that I need to find a solution to my problem to recoup my losses and prove to myself that I am not a total failure. Googling sun scald and wind damage I found that really there is no fix for this other than luck. 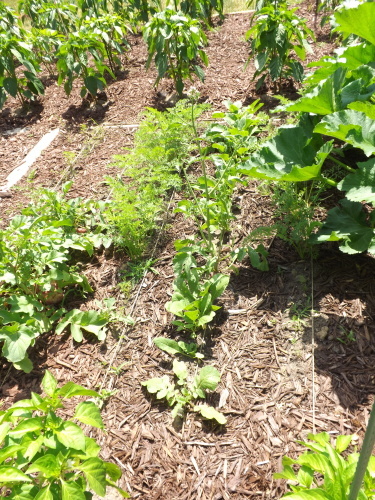 Some plants will recover, while other may not. This was not what I wanted to hear. I have never believed that there isn’t some solution to every problem. Even the most dire circumstances have to have a silver lining. I really can’t believe that I am being this optimistic at this point, but what the heck I’ve got absolutely nothing left to lose. 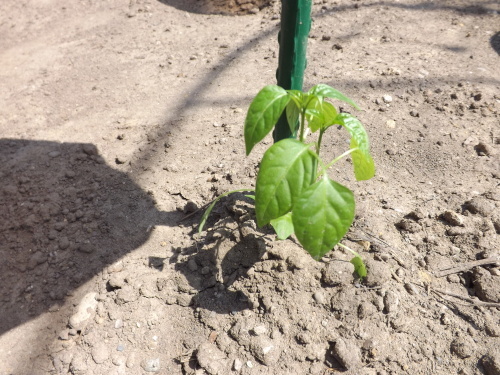 Staring out into the garden, with the sun beating down on my helpless little pepper plants, knowing that they will have at least 10 hours of full sun, I came to the realization I had two options. One, I can dig up every last plant, put them back in their little pots, hope they don’t die from the shock, allow them to recoup in the greenhouse for a week or so, and then harden them off like I was supposed to in the first place before replanting them back in the garden; or, I can find some way to protect these guys while they are still in the ground until they become acclimated to their new environment and do my best to nurse them back to health. Being the impatient sort I couldn’t see myself uprooting all those plants and trying to save them that way. No, there had to be a way to protect them. Looking at all my wonderful milk cartons it came to me. 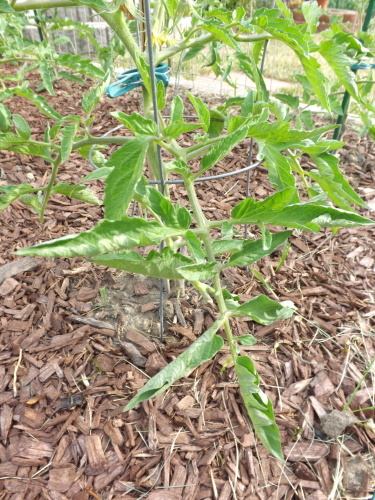 Every plant in the garden has a stake. These stakes serve two very important purposes. 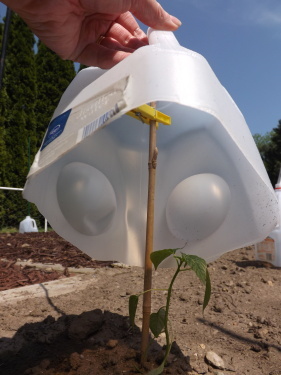 One, they will help support the main stem of the plants as they grow throughout the summer (keeping my fingers crossed this happens this year) and two they hold the milk cartons in place when I cover the plants at night. 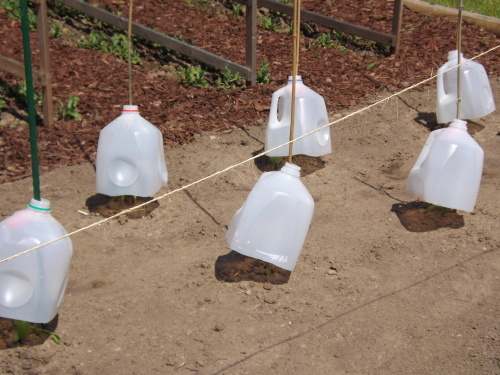 Well, maybe I could somehow use the milk cartons and stakes together to shelter the plants from the sun and wind during the day. Leaving the milk cartons over the plants all day would surely kill them. Although there is a hole at the top where air can escape, the heat of the sun would probably bake the plants and suffocate them. 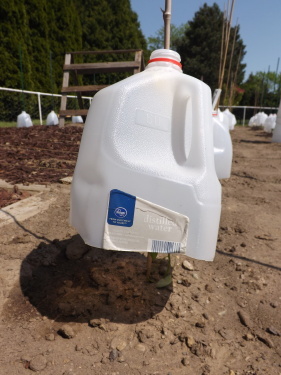 There had to be some way of suspending the milk cartons over the plants so air could circulate around them yet shade them from the harsh sun and gusting wind. My solution: A simple clothespin! 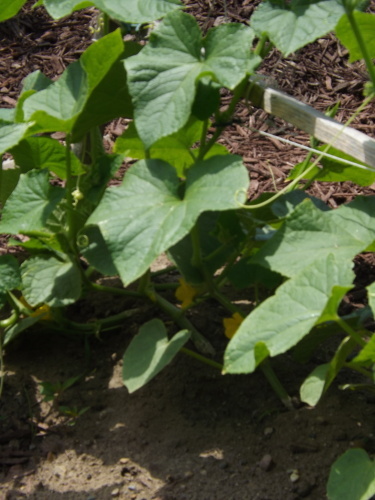 By clipping a clothespin to the stake about a foot off the ground (a little more or less depending on how tall the plants were) and then sliding the milk carton back on the stake suspended the carton above the plant leaving enough space for the plants to breath and give them a fighting chance at becoming acclimated to their new home. Although the theory behind my idea seemed sound, it is definitely not foolproof. I have to go out several times a day to adjust the clothespins and cartons so the sun that is moving overhead doesn’t find it’s way to the tender leaves. This being said, I didn’t realize this the first day, so a few more leaves got scalded. 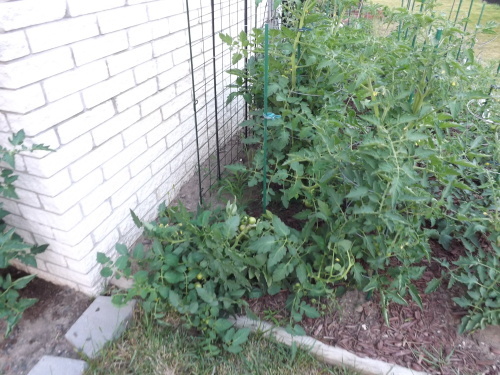 Quite a few plants however have managed to avoid scalding altogether. Perhaps there is a little light at the end of the tunnel. Why is it that for weeks it was too cold out to even think about gardening and the first nice days we have when I stupidly put my plants directly in the garden, the sun shines in a cloudless sky and the temperatures reach the mid-80’s. No doubt this is one of those wonderful Murphy’s Laws. 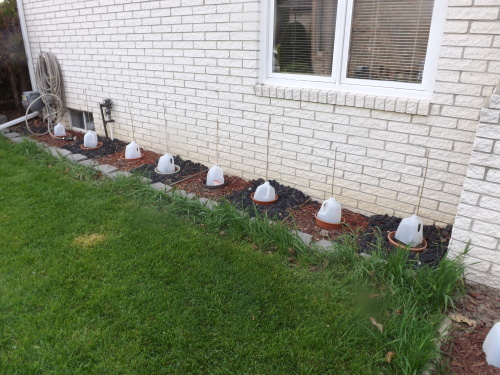 I planted 24 peppers and 20 tomatoes outside without hardening them off. 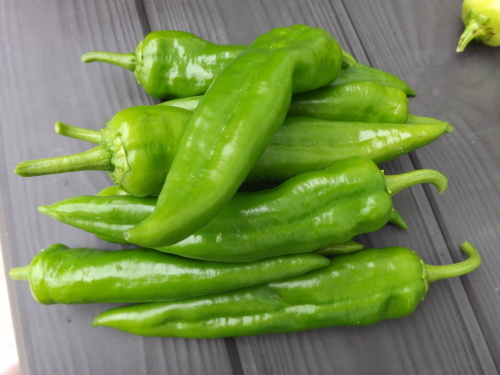 All of the peppers are still alive, but some with severe sun scald. 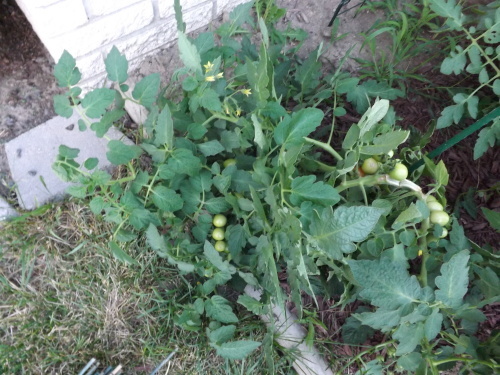 Four tomato plants have died and a few others are pretty iffy. 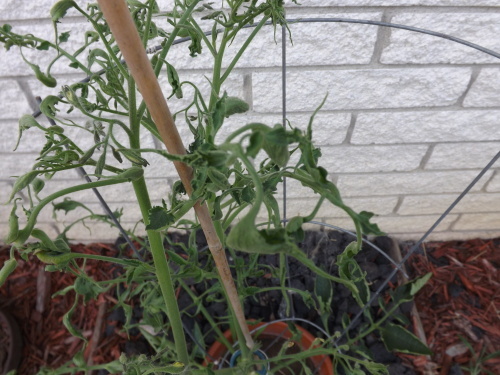 The remaining tomatoes have sun scald on about 50% of their leaves. Today is the first day that I believe there has not been any additional deterioration of the plants, although the day is not yet over. The peppers have at least another four hours of sun to endure. 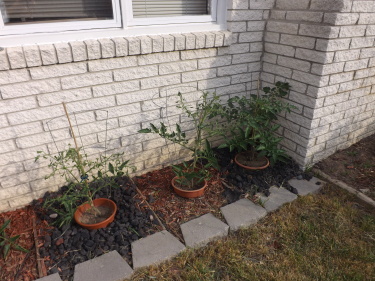 The remaining pepper and tomato plants I started inside have had two full days on the patio in the shade out of the wind and look pretty happy. I’m hoping by the weekend to be able to put them in the garden. The weather is supposed to become cloudy later in the week with a chance of rain. Why couldn’t that have been the case after I put those other plants in the ground? Just my luck. That’ll teach me, or not. 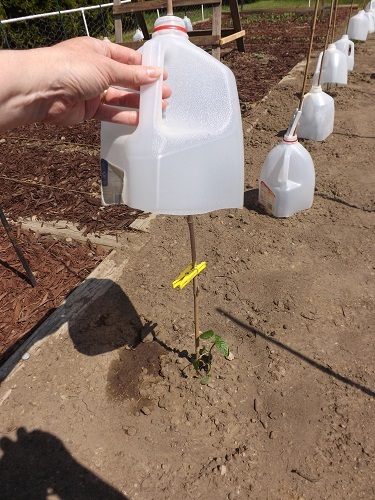 So, my milk cartons continue to be functional and will hopefully save the day, or in this case, save the pepper and tomato plants, and for this I am keeping my fingers crossed and — Simply Grateful. 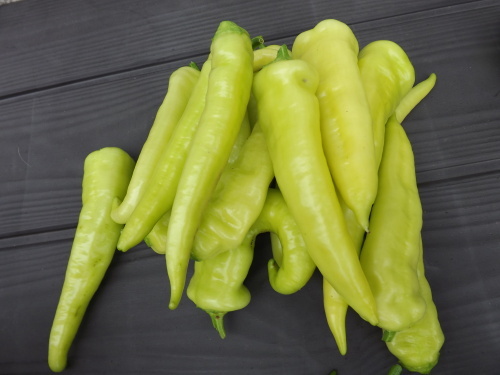 Categories: Peppers, Plant Fixes, Tomatoes | Tags: Gardening, Hardening Off, Milk Cartons, Peppers, Sun Scald, Tomatoes, Upcycling | Permalink.